This is a post that has technically been half a year in the making. 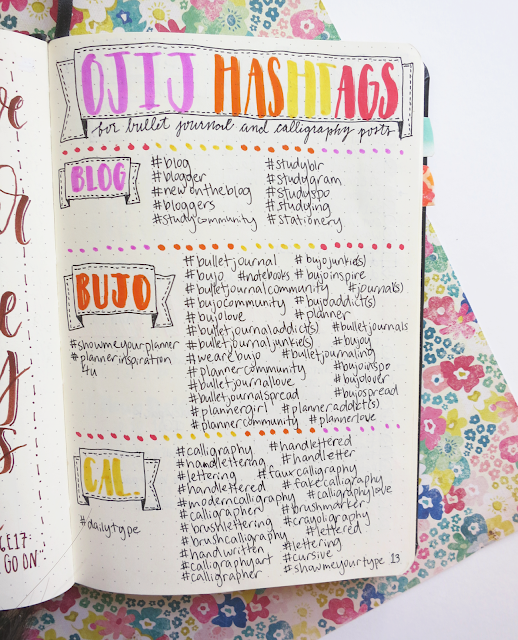 As of October 1st, I have been bullet journaling for six months! In that span of time, my system has changed and evolved drastically in some ways (and marginally in others). 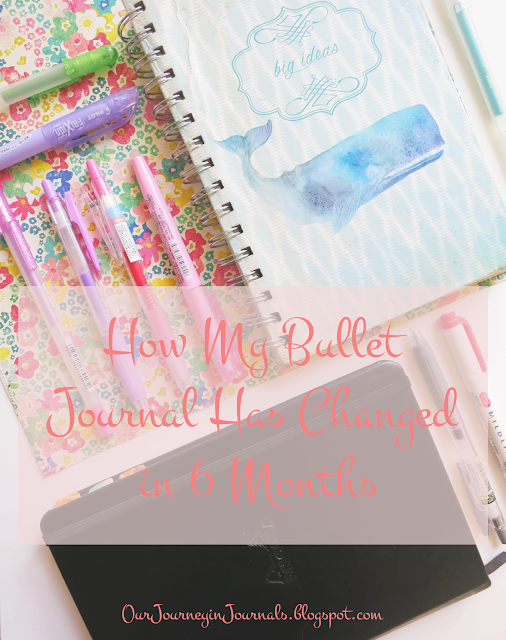 In this post, I'll be talking about those changes that have occurred in the time that I've been using the bullet journal system. First of all, I've documented all of my previous setups onto this blog. Read them if you want to get a more thorough idea of how I've changed things. 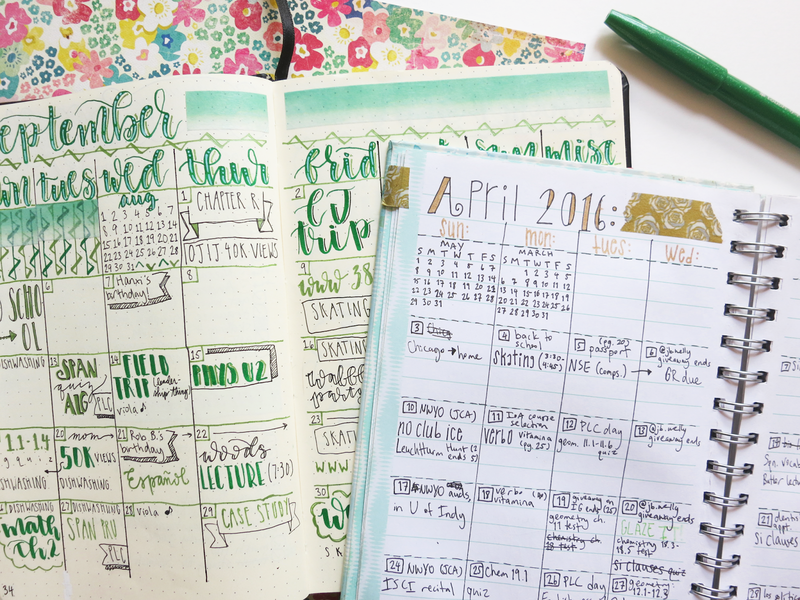 #1: April 2016: my first bujo setup ever! 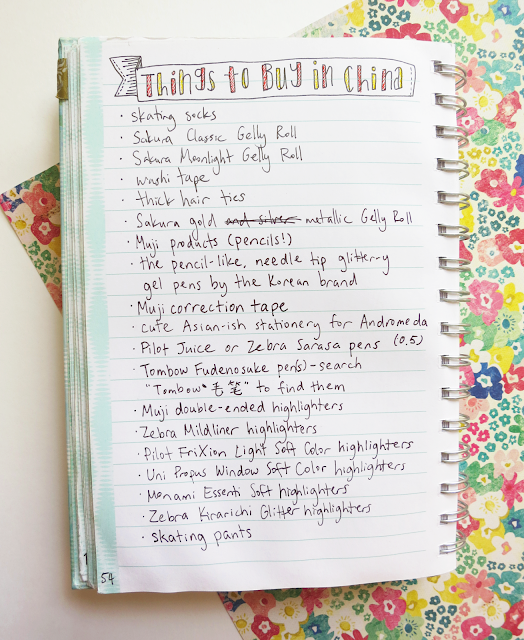 #2: May 2016: as I was setting up April, I looked at some of the things that I was doing, and I immediately though, "Oh, crap . . ."
Second, I want to say that my system will probably never stay completely the same. The beauty of the bullet journal is that you can change it to suit your needs. I know that my life will never be 100% stagnant and that there will always be new things in my life that will prompt a change in my planning system. Just like how my bujo is not the same as it was six months ago, it will most surely also be different in six months, in six months from then, and six months after that, etc. 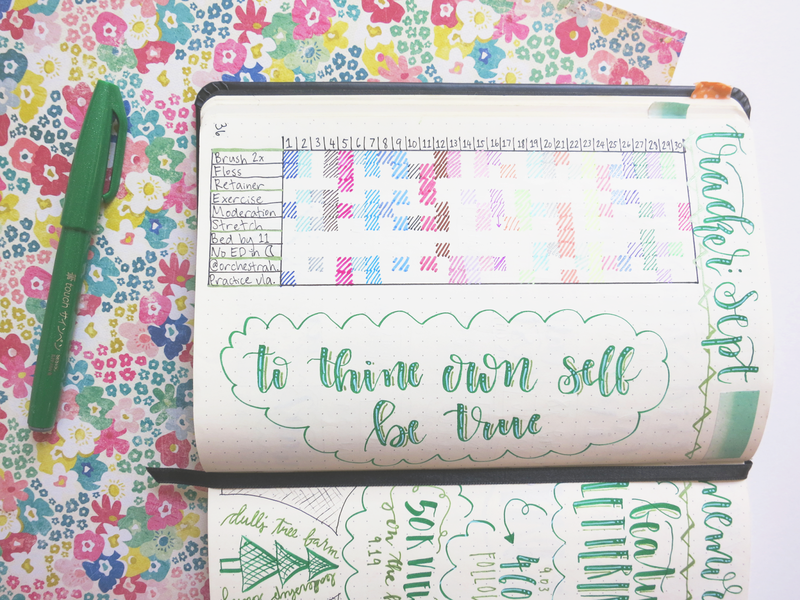 With all of that out of the way, let's get on to the real meat of this post: how my bullet journal has changed in six months! *Caution: this is a pretty picture heavy post, so be warned! 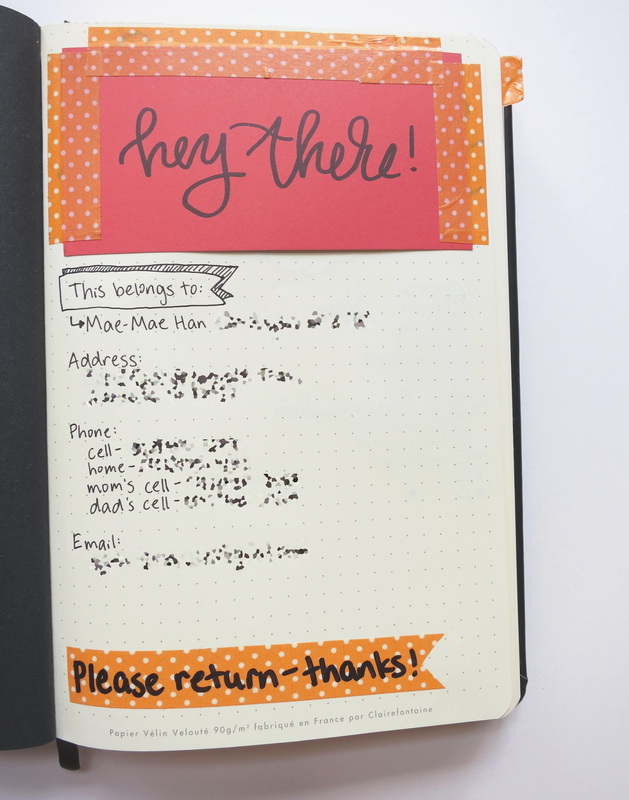 The most notable change is the notebook itself. When I first started bullet journaling, I was using a spiral notebook by CR Gibson with 7 mm ruling and "paper" (hard cardboard or something like that) covers. The bright white paper was actually really high quality for a journal that I got for $3 or $4, but it obviously wasn't the best. Now, I'm using a black medium (A5) Rhodia Webnotebook in dot grid from Amazon. It was significantly more expensive at about $17, but in my opinion, it's definitely worth it. 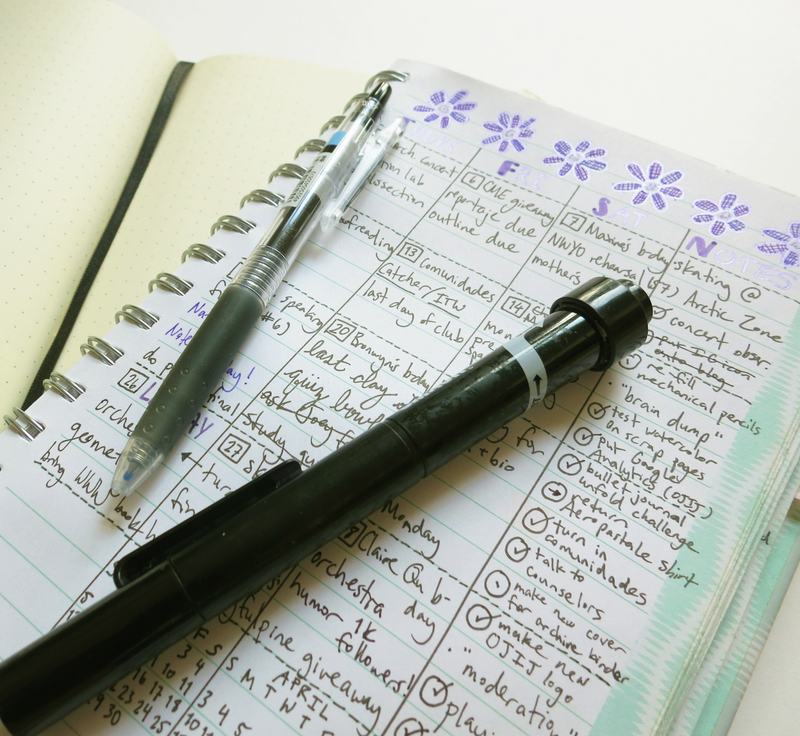 The 5 mm dot grid is really helpful when it comes to bullet journaling, and the paper quality is absolutely superb. It also has a bookmark and a back pocket, both of which I find to be quite helpful. Originally, I used a Smash Stick for all of my general writing. It's a double-ended writing utensil with a felt tip 0.45 mm pen on one side and a glue stick on the other. However, it's quite unwieldy to bring around in my backpack and uncomfortable to hold in my small hands (since it's really thick). Additionally, the tip of it was starting to wear down, meaning that I was forced to write completely perpendicular to the paper (which was really annoying to do). I then switched to a Stabilo Point 88 0.4 Fineliner in early June . . . until I lost it around mid or late June. I then switched to a Pilot Juice 0.5 Gel Pen that I got in a Tokyo Pen Shop haul, and it's been my main black pen since. Originally, my bujo started right at the index. 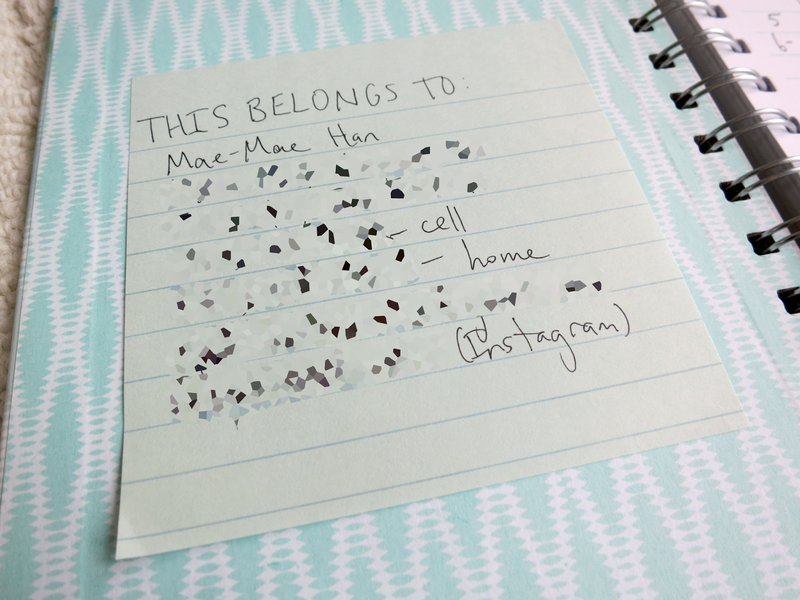 I had a sticky note on the inside front cover that had some of my contact information in the unlikely event that I lost the notebook. In my second bullet journal, I made the first page a "this belongs to" type of thing. 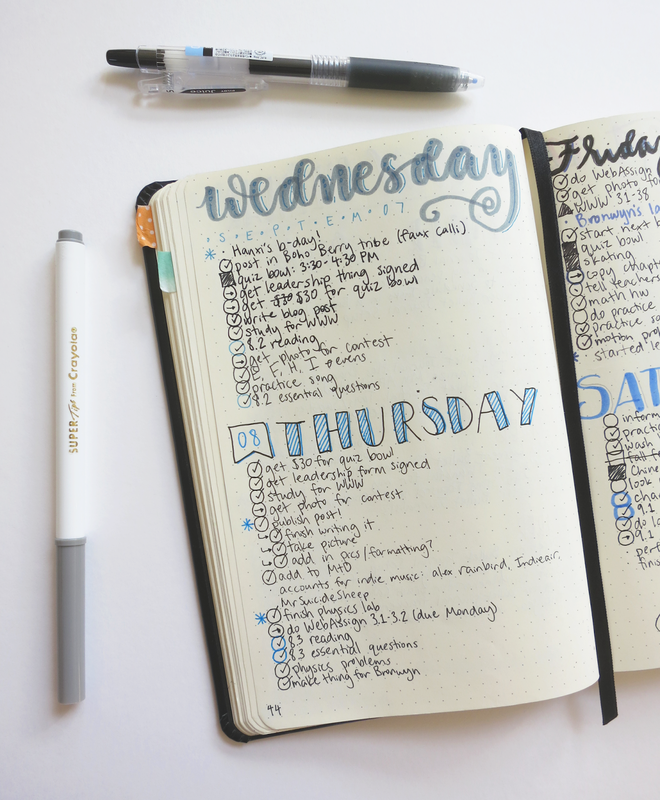 It's overall a lot easier to read and more organized. The symbols and such in my key have not changed, though I have added on a couple more things. The main thing is my color-coding - i.e. 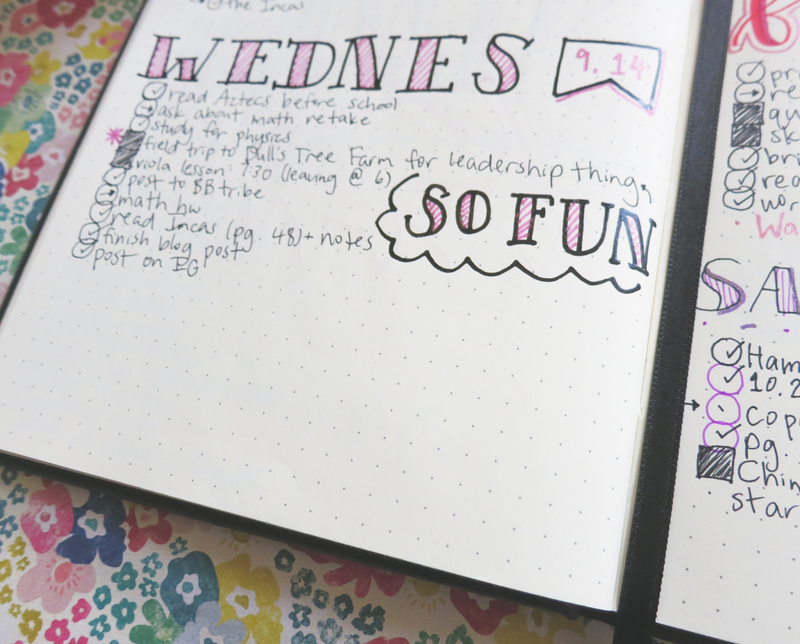 how I use color in my daily spreads. 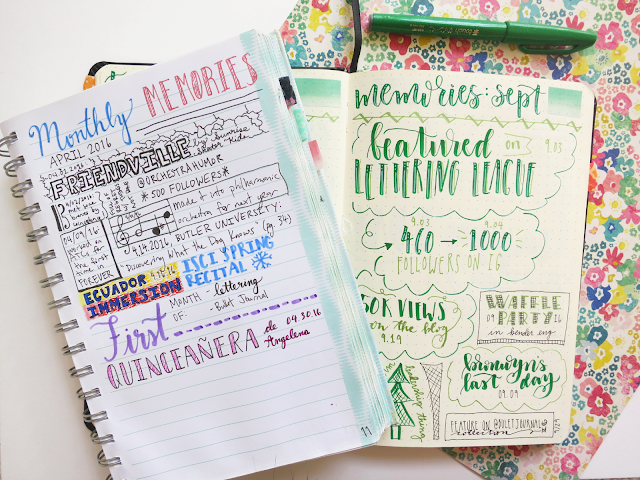 Each day, I use different styles of lettering and different pens for my dailies, so the colors I use are also different. 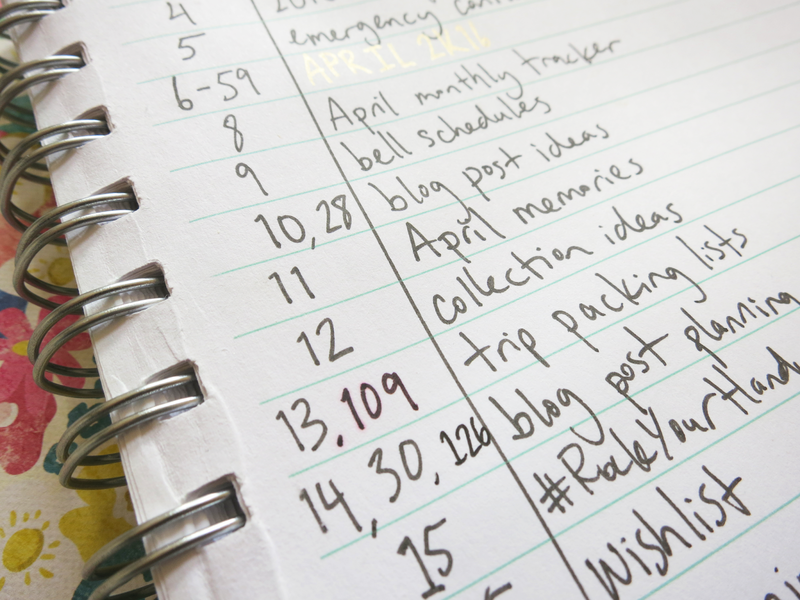 However, I use whatever is the main color from that day's spread as an accent color in the daily log. Words that are highlighted or written in a color other than black are especially important for some reason or another, whether it be something that I really need to get done or something really awesome that happened that day. 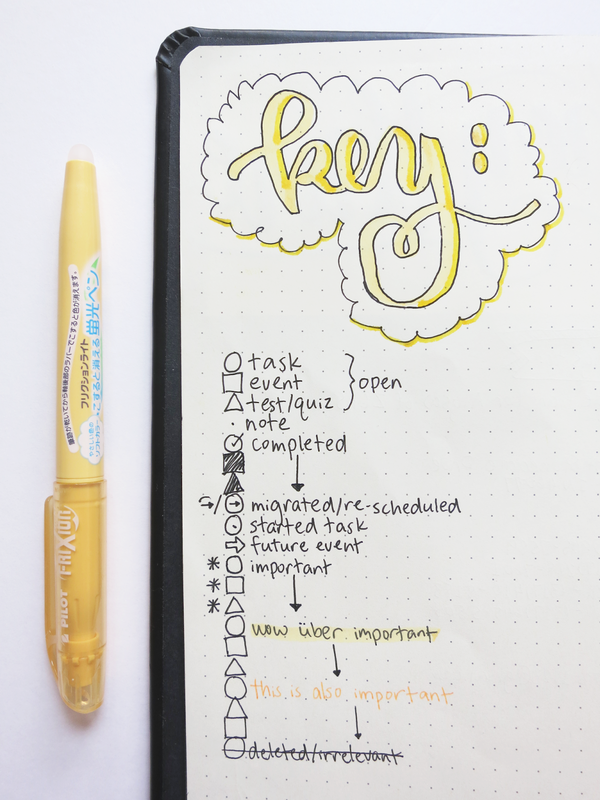 I also sometimes have task circles drawn using said accent color. This means that the aforementioned task is homework or something else that needs to get done for my AP world history class that I'm taking this year. The reason I decided to add this bit of color-coding into my daily spreads is because this is the hardest class I'm taking this school year and with the most amount of work, so this ensures that its tasks stand out. My monthly spread has changed quite a bit in appearance, though its functionality has not really changed at all. When you first glance at it, you'll notice how it has just overall became a lot easier to look at. This is mostly because my handwriting has gotten a lot better, and I also now make important events stand out more by using different sorts of banners, sizes, and styles of lettering. Plus, I use a lot more color now (that matches the color scheme of the month) which makes everything just seem a lot more cohesive and well put together. I also added more decoration to the monthly log by using washi tape and drawn patterns on the empty boxes on the calendar itself. Along with these aesthetic changes, I've also had some more functionality-based changes. I draw in little calendar overviews for the previous and next month, which helps for future planning or just seeing what day of the week a certain date falls on. I put the calendar for the previous month somewhere on the first row and the one for the next month on the last row. I went from a Sunday start to a Monday start. Here in America, the former is the default, but it just doesn't make sense in my opinion; after all, the work/school week starts on Monday, so why not the calendar week, too? I think of Monday as the beginning of the week in my mind anyway, so this just makes more sense. Along with changing the items themselves, I also started separating them into boxed-off categories in September. 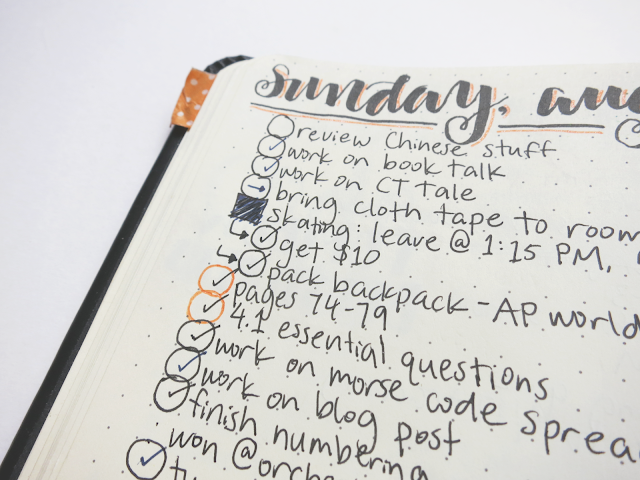 It just makes it easier to find a specific habit and adds a pop of color to the spread. The appearance of my monthly memories layout, which is one of my favorite spreads in my bujo, has also changed through the course of these months. Now, I keep a more consistent color scheme within the spread that matches the overall theme of that month in order to create a more unified look. 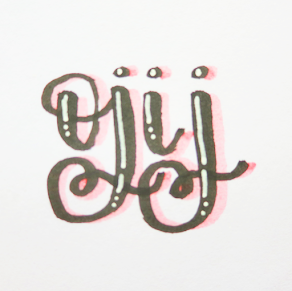 I'm also just overall much better at lettering and calligraphy in general, and I'll continue to improve my skills in the future. 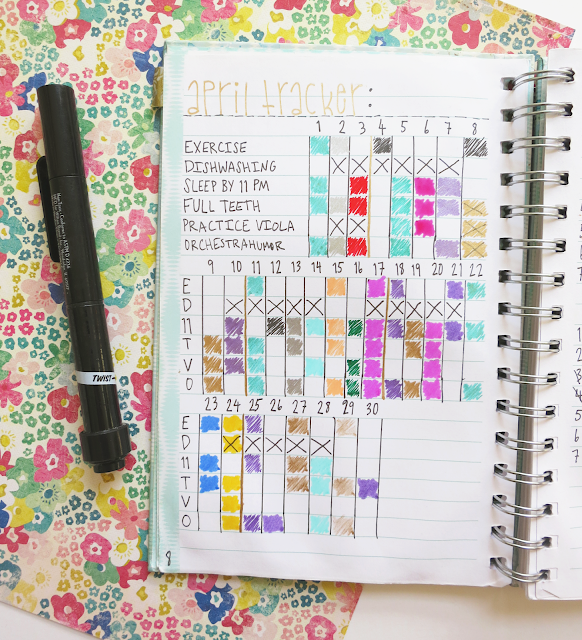 Most importantly, I do the entire spread at the end of month instead of adding in little entries throughout the month. It lets me plan out the spread so I'm able to fully utilize the page's space. 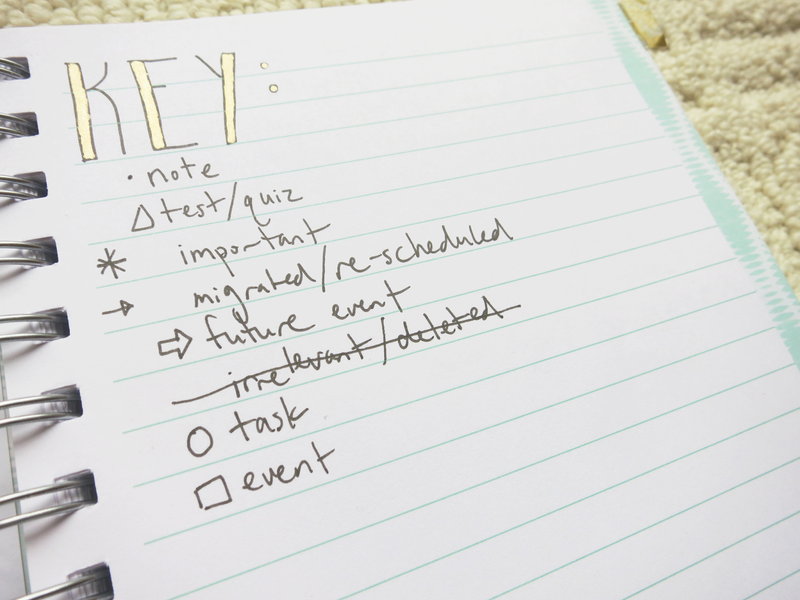 In October, to save some time, I'm going to try writing the events on a sticky note kept on the currently blank spread. 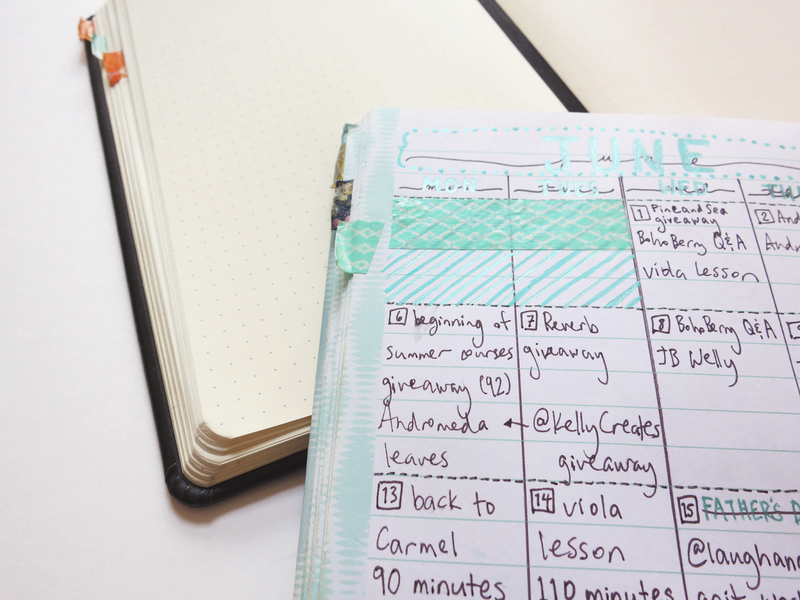 The most notable differences in my daily spreads are the aforementioned color-coding things in my key. I also sometimes add a banner or something if something cool happened that day that I really want to stand out. As you can see, about half of these collections are old ones migrated from my first bullet journal, and about half of them are new ones. Sometimes, you realize that a collection is actually useless a day after you make it. For the sake of brevity, I won't go into too much detail about threading (and I'll also be making a full post about it in the future). If you don't know what threading is, I suggest reading this blog post by Tiny Ray of Sunshine. 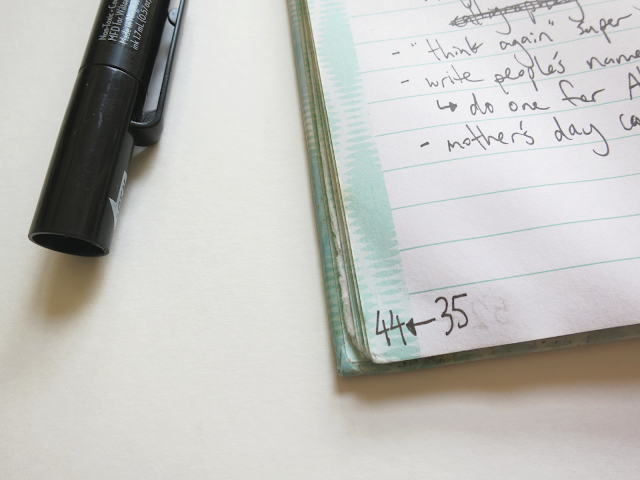 At first, when I had a related collections (like two pages of blog post ideas), I just added the page number along the original in the index. Now, if it's a continuation, I thread the page numbers instead by writing the continuation's page number down by the page number of the original. The second type of threading I do isn't really threading, but it's kind of the same idea. Remember that future event symbol in my key earlier? I use that in my dailies when I have details about an event in the future, such as a test or a concert. I then write that page number by said event in my monthly spread or future log so that I'll be able to later remind myself of the information surrounding a future event. Wow, that was a long post. 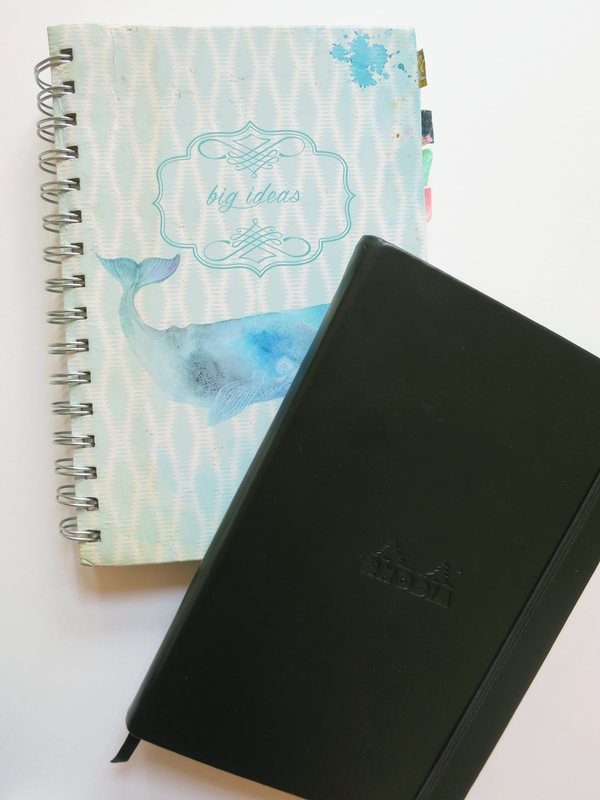 It's really interesting to me to see how my bujo has changed from April to now, and I hope you enjoyed this post as much as I enjoyed writing it! 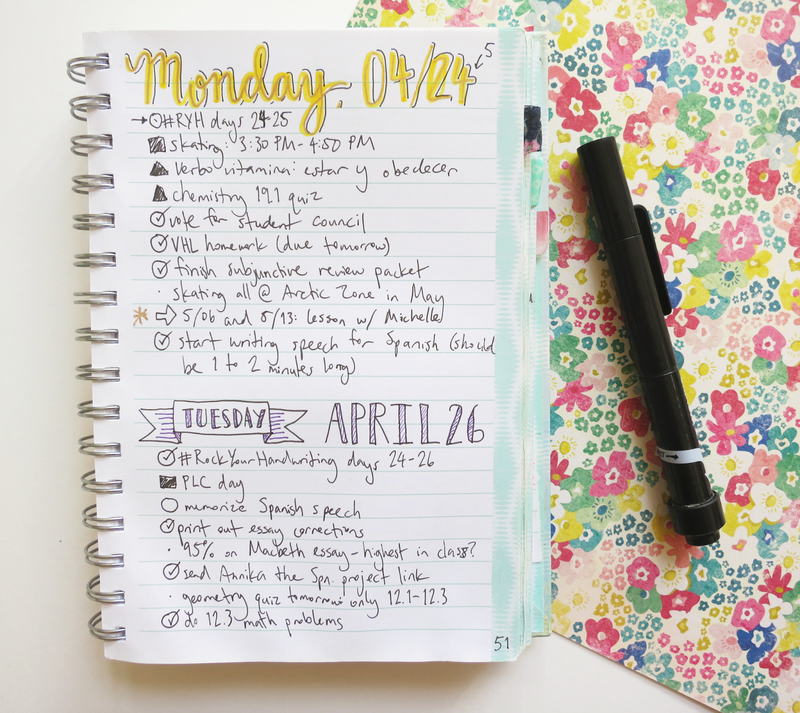 How has your bullet journal changed since you started it?